Inka Terra Machu Picchu or Machu Picchu Sanctuary Lodge ? MP Sanctuary lodge is close to Machu Picchu, so you can spend more time there. Inka Terra is more comfortable though. If you already read some of my other pages, then you know that 'Hotels in Machu Picchu' means hotels in Aguas Calientes. Machu Picchu is only a ruin, there is no city amenities there. Wait, I should have mentioned here, there is a hotel, only one, at the entrance gate of Machu Picchu ruins, a Super luxury hotel, 'Machu Picchu Sanctuary Lodge'. But that's all. No other hotel, or anything in Machu Picchu (except the ruins - sufficient to drag you there though). So the final statement is, to sleep- you have to stay in Aguas Calientes, unless you want to spend 700/800 US $ a night, in Machu Picchu Sanctuary Lodge. 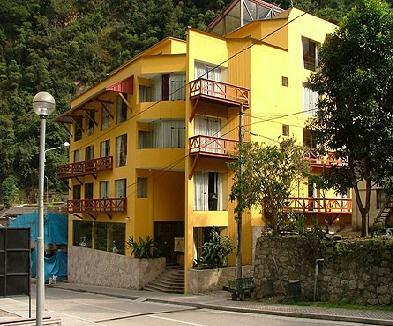 You can get all sorts of hotels in Aguas Calientes, cheap hotels, or expensive ones. There are a good numbers of hotels, even in high seasons there is a good possibility that you can get something to sleep there, without advance booking. But to get a room in good ones you should do some advance bookings. If you do make some reservations, they will even pick you up from the stations with luggage, free. But doing the advance reservation is a bit difficult tusk here. Most of the hotels will not respond you timely, if you email them. If you call them over phone, it is easier, though many cases it would be difficult to communicate with them in English. So you have to put extra effort here to make the reservations. I suggest, do the reservations, early, if you are planning to stay in a good standard hotels. Check my page on Machu Picchu hotels for list of hotels. I also tried to include phone numbers, email address and website address of many hotels of Aguas Calientes. If you are looking for a very cheap hotel, don't bother much for reservations. Just go there and get into one of them. You best bet would be with Hostal John, cheapest hotel at Aguas Calientes. In less than $ 5.00 you can pass your night there. Hostal El Inka ,Hospedaje El Tambo, Hostal Wayna Picchu	are some other hotels where you need less 10.00 dollar to spend a night. For detail check my page on	Machu Picchu hotels. If you like to pass in standard hotels, you have to pay around 50.00 dollars. Hostal Wiracocha Inn,	Rupa Wasi Eco Lodge, Apu Majestic B&B, Hostal Presidente,are few standard hotels in Aguas Calientes. If you inform them, they usually pick you from the trail stations. You have to pay around $ 300.00 a night in Hatuchay Tower Hotel. But they are not that much luxurious though, just better amenities you will get here. Don't expect that much. 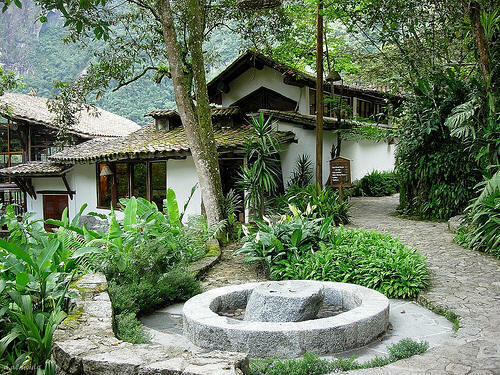 Inkaterra Machu Picchu Hotel is really an excellent hotel, actually the best in Aguas Calientes. And it is expensive too. You need to pay around 400.00 dollars here to spend a night.